Now that is an invasion if ever there were one .. scary and should be put to rest before they even begin their applications or their journeys. 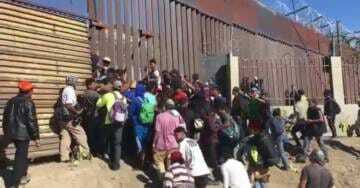 FBI arrests the leader of the patriotic group which is arresting illegal aliens at the border. Is FBI helping to uphold the law or is FBI the fifth column, an army seeking to destroy our borders, our souvernty for the anti-American globalists?